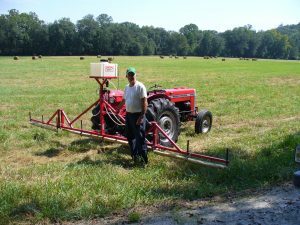 Farmers in the Agricultural Industry are currently faced with the problem of Glyphosate (Round-up) resistant weeds in their pastures and field crops. Since 1983, Smucker has been committed to engineering the most economical and effective weed wipers. Smucker created weed wipers that utilize a pump fed cellulose sponge with protective netting to apply Glyphosate and other chemicals to target undesired weeds. Smucker weed wiper sponges have a unique system that comes in various mounting options so you can see the amount of chemicals getting on the weeds. Smucker weed wiper sponges are a great alternative to spraying because the sponges directly attack taller growing weeds while keeping the chemicals off your crops. 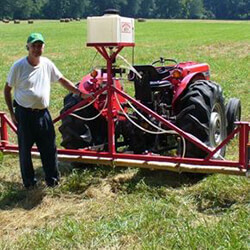 Research has shown that Smucker weed wiper sponges are superior to other weed wipers in the industry to wipe out weeds. Watch this video to learn more now. 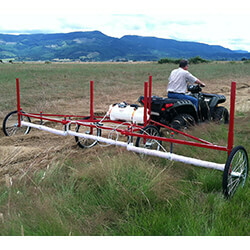 Buy our unique weed wipers to wipe out weeds in your pastures and field crops today. 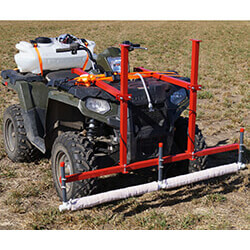 Various weed wiper mounting options are available to purchase for your ATV, UTV, or tractor. Every model is handmade in the USA. Please see more information on each model below. All weed wipers are available for sale now. Contact our sales staff with questions or to buy weed wipers. Smucker top crop weed wipers easily mount to any spray boom tool bar to fit your ATV, UTV, or tractor. Smucker self-propelled weed wipers can easily be mounted onto your ATV, UTV, or tractor’s existing spray boom and are great for weed patches. Each 30″ sponge section has separate feed tubes that adapt directly to the closest TeeJet or Hypro nozzle body. Nozzle body caps are included to shut down any tip that is not feeding a sponge section. 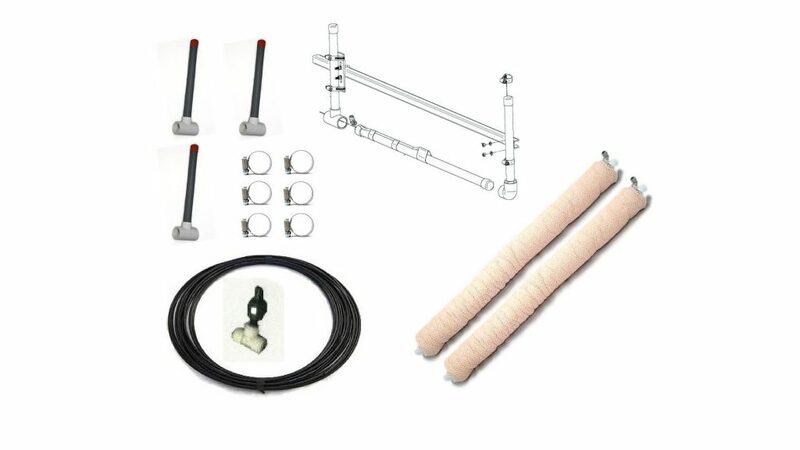 This unique system allows you to easily attach and remove sponges to your boom without taking the U-bolts off so you can quickly convert your sprayer into a weed wiper and eliminate taller growing weeds with less chemicals. Smucker ATV mounting brackets easily connect to your weed wipers and are great for weed patches. Please keep in mind that sprayers are not included. Smucker UTV mounting brackets can easily be attached to the existing 10 or 15 ft kit on the front bumper of your UTV. 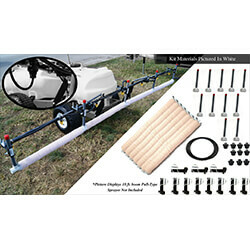 Smucker pull-behind weed wiper models have stabilizers that hold the set clearance range which can be adjusted from 2 to 42 inches above the ground. 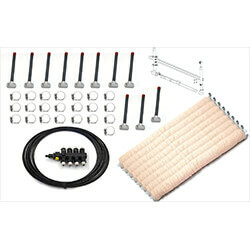 These pull-behind weed wiper kits come complete with a tank and pump for your application convenience. Pull Behind weed wipers can be easily mounted to your ATV, UTV, or tractor. Smucker 3-point hitch weed wipers work best in row crop applications and can be adjusted to as low as 4″ above the ground. These 3-point hitch weed wiper models conveniently come with a tank and pump, and can be easily mounted to your ATV, UTV, or tractor. Smucker front bucket weed wipers are easy to install, work best in row crops, and have the ability to be adjusted on the go. 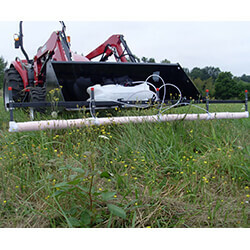 Mount this front bucket weed wiper kit to your ATV, UTV, or tractor to wipe out weeds in your pastures and field crops today. 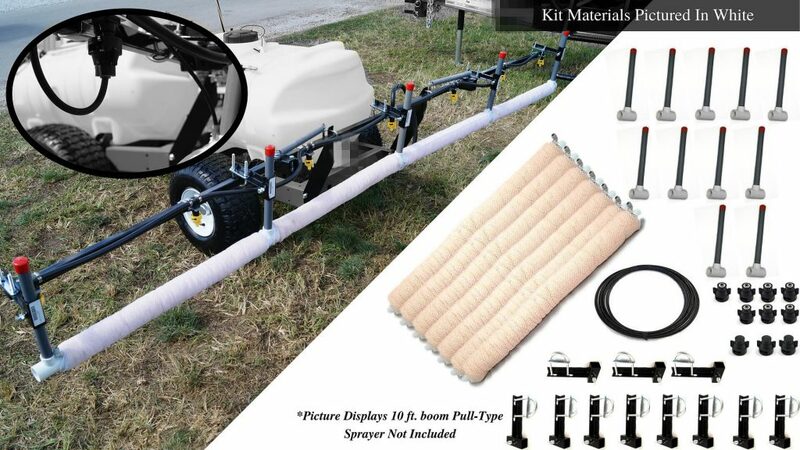 Please keep in mind that a sprayer is not included with this kit.